INST Recruitment 2019 - Walk in for SRF/ JRF Post on a project entitled "Computational Materials" in INST, Punjab. Candidates are invited by Institute of Nano Science and Technology (INST) to attend walk-in-interview to be held on 25 Feb 2019 at 10:00 AM for 1 vacancy. Max- 30 years as on 25 Feb 2019. M.Sc./M.Tech. Degree in Chemistry/physics/Materials Science/ Nanoscience and Nanotechnology with two year of research experience for SRF and NET/GATE qualification. INST Recruitment 2019 - Walk in for Technical Assistant Post in INST, Mohali, Punjab on Contract Basis. 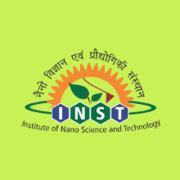 Candidates are invited by Institute of Nano Science and Technology (INST) to attend walk-in-interview to be held on 22 Apr 2019 at 10:00 AM for 1 vacancy. INST Recruitment 2019 - Job notification for Store & Purchase Officer (SPO) Post in INST, Mohali, Punjab on Contract Basis. Applications are invited by Institute of Nano Science and Technology (INST) on or before 20 Apr 2019 for 1 vacancy.